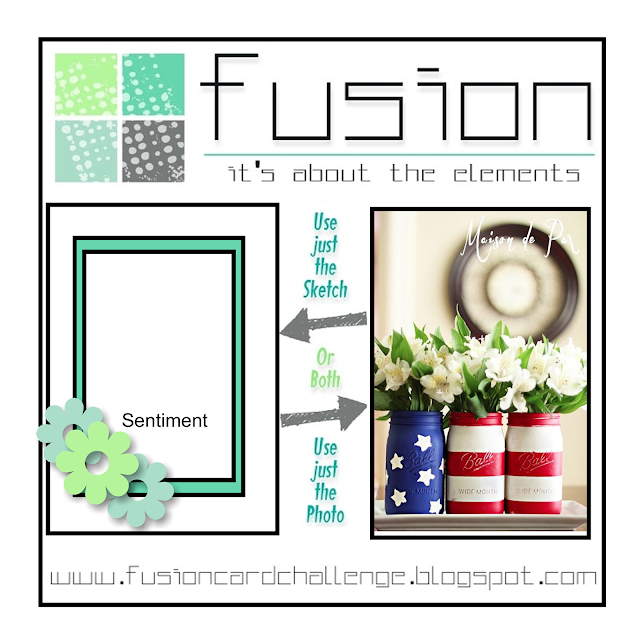 Today I'm sharing a patriotic card I made using Papertrey Ink's Button Boutique stamp set and the Sizzix 3D Flowers die! I love the extra sparkle my glitter Washi Tape adds -- I even punched some tiny stars out of it to decorate both the outside and the inside! A pretty floral creation and perfect for our them at Allsorts this week, many thanks for joining in with your lovely card. Love your beautiful card. Wonderful design and flowers. Somehow, I have missed your blog but so glad to find you and will definitely follow. WOW! What a beautiful and creative card! Thanks so much for playing in our ‘Celebrations’ challenge at Dies R Us! Please come back again soon! Very pretty! I love the sweet felt flowers and pretty die cuts. your red white abd blue theme is delightful! Glad you joined us at Fusion! 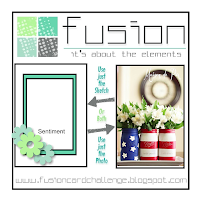 Terrific, love how you used the felt flowers with your on the button card, love the pearl centers and great border too! This is so delightful! You did an amazing job :) Thank you for participating in our challenge from Dies R Us! Lovely flowers! Thank you so much for entering our challenge at Allsorts this week and good luck.